Apple is slowly but surely parting ways with Google. In the latest update to the beta version of iOS 6, released on Monday, 9to5mac noticed the absence of the native YouTube app that has long been included in Apple’s mobile operating system. Apple soon released a statement to The Verge confirming that the absence of the YouTube app is not merely a glitch, and that a new YouTube app is on its way. “Our license to include the YouTube app in iOS has ended. Customers can use YouTube in the Safari browser and Google is working on a new YouTube app to be on the App Store,” Apple informed The Verge. As the statement suggests, heavy YouTube users thinking about making the move to iOS 6 have nothing to fret about as you’ll merely be required to download a YouTube app from the App Store, or you can simply access YouTube on your Safari browser. Fortunately those with existing iPhones running iOS 5 and older, users will not have to be inconvenienced with downloading the app. Enagdget learned that the change will strictly take place for devices on iOS 6. 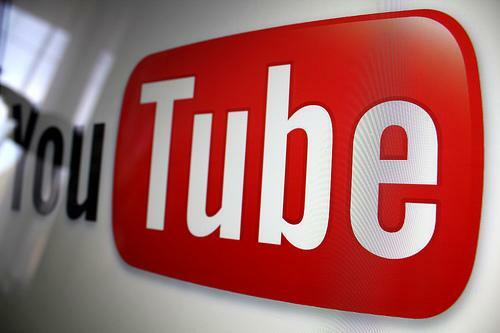 YouTube was an integral part of Apple’s iOS since its debut in 2007. But recently, Apple has hinted at its desire to keep more of its applications in-house. Prior to YouTube getting the axe, Apple announced that it would replace Google Maps with its own Maps app. The Google Maps substitute is Apple’s new mapping technology, a gusty move that is intended to redirect traffic to Apple and take mapping to the next level with a feature set including traffic information, local business listings, reviews, turn-by-turn navigation, and even 3D mapping. We can’t be stunned by Apple’s decision not to continue its default inclusion of the YouTube app. YouTube’s mobile application has had seen few substantial design updates over the years, despite user demand for improved functionality. And Google Maps has been the center of criticism, with services like Foursquare openly renounced Google Maps for the data and flexibility offered by crowd-sourced alternative OpenStreetMap. In the end, however, nothing much has changed for users. A new YouTube app is on the way. The number of mapping applications has simply increased. Apple and Google don’t have to play nice for all of us to win.